The Brooklyn modular furniture range combines up to date looks with practical storage. 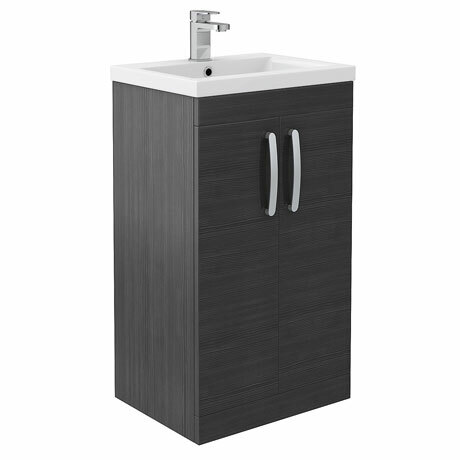 This high quality Hacienda Black textured wood effect vanity unit is supplied with a smooth white gloss vitreous china basin. All units are provided with quality satin nickel handles. Please note: Lifestyle image shows 600mm unit, this listing is for smaller 500mm size. "Really lovely, looks good, love the basin!"